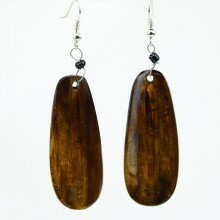 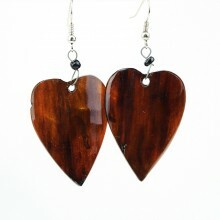 Handmade cow Horn Earrings from Kenya. 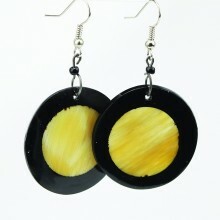 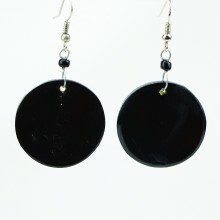 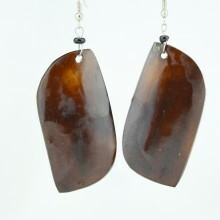 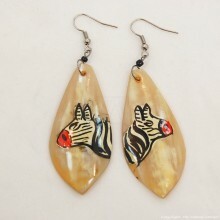 Instead of going to waste, the cow horn is up-cycled to jewelry that you will love. 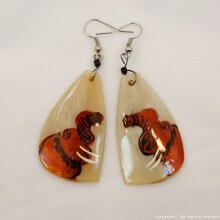 Its all done by hand, cutting the pieces, carving to desired shape, smoothing and polishing with dye. 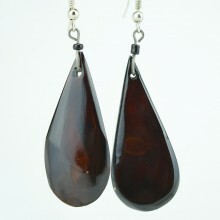 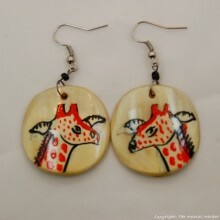 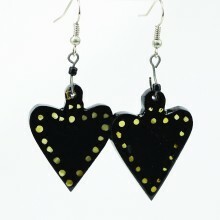 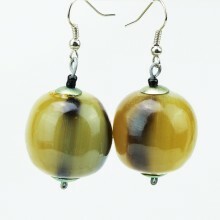 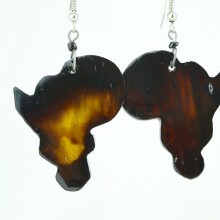 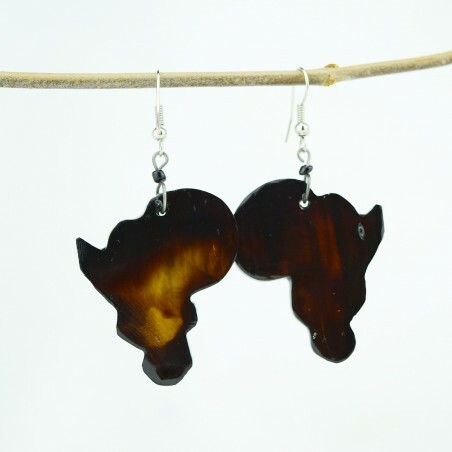 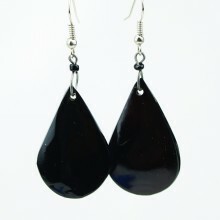 Since they are handmade, each pair is unique and will look slightly different from the Kenya Cow horn earrings shown in the pictures. 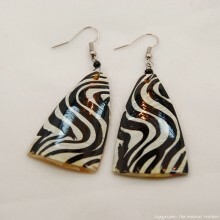 Size: Approximately 1.5", whole earring approximately 2.5"